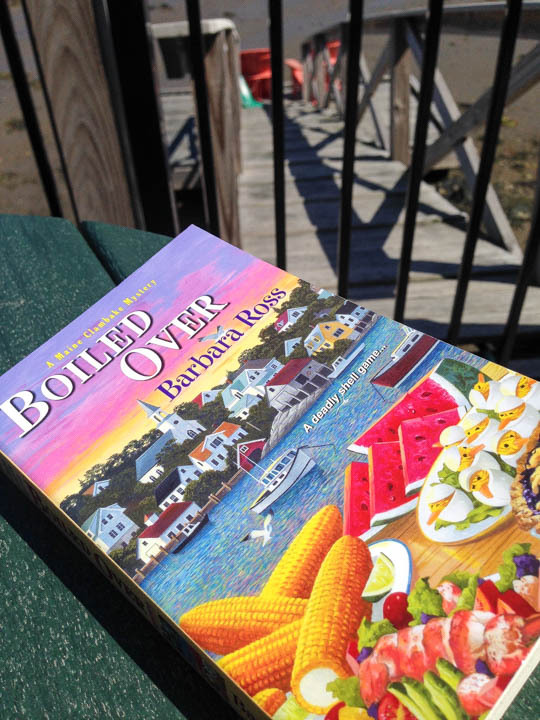 Each mystery is set in Busman's Harbor, but of course we know it's really Boothbay Harbor, and centers around the Snowden Family Clambake Company (or the Cabbage Island Clambake?) Protagonist and mystery-solver Julia Snowden has recently moved back to Busman's Harbor from her New York corporate job to help get the family business back on its feet. She guides us through an enticing story, while giving us a glimpse into the life of this small town and the dynamics between the true locals and the PFAs ("People From Away"): the year-round transplants, the summer people and the tourists. Ross's depiction of the town is so colorful, it's sometimes hard to keep in mind that these stories are just fictional (though thankfully so, given they always involve a murder!) The author has lived part-time in Boothbay Harbor for many years and it's clear she knows the place well. 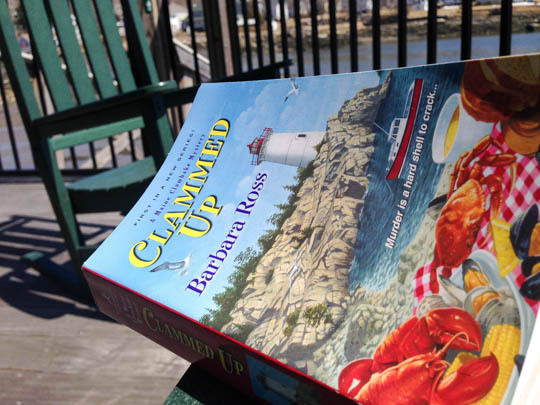 These books will instantly transport you into a Boothbay state of mind. So pick up Mussled Out, Boiled Over or Clammed Up at your local bookstore or at our local bookstore (Sherman's). Or you can read my copies while staying at Portside--as I did on the deck this past spring! The fourth mystery, Fogged Inn, will be available in February 2016.